The dictionary defines an idea as a concept that exists in the mind as a result of mental understanding, awareness or an activity as such. Ideas are therefore an outcome of the mind. 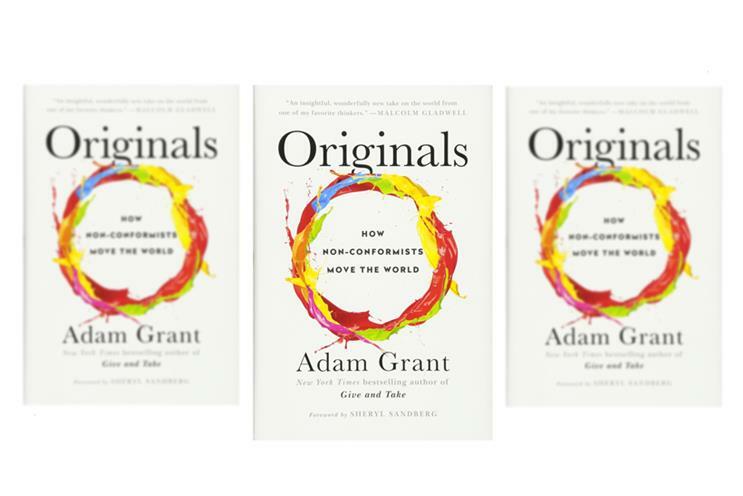 Attempting to investigate the kind of minds and mindset that can conceive and deploy the most compelling and lucrative ideas would be a worthwhile endeavour, and one that Adam Grant has embarked on in Originals. In what is a good, quick read, Grant makes the effort to explore, identify and deconstruct what may otherwise be seen as the prerogative of those considered superhuman or as having had a stroke of luck - something serendipitous that couldn’t possibly be recreated. A touch of random genius that turns into a hit overnight, and often all too irresistible for the media to turn into a story. Grant quickly declares that the most successful entrepreneurs are not risk takers, but risk mitigators. It isn’t masses of confidence that drives their idea to success, but rigour; they put their idea out there to seek valuable feedback and adapt accordingly. The underlying message is that almost anyone can engineer their way into coming up with a worthwhile idea, identify it as such and most importantly, develop it to a point where the world will embrace it. However, Grant is implicit that intuition and rigour are both essential in making this happen. Whilst widely accepted that creators have to be intuitive, the notion that they have to be just as rigorous is often seen as secondary. As consumers, we see only the ideas that thrive and assume they sailed to success. Grant highlights ideas which had the potential to do very well, but came up relatively short, such as the Segway, and also good ideas that faced plenty of criticism and did well in spite of it – Skype video calling, for example. In these cases, the idea alone was not enough. The Segway inventor failed to gather enough useful feedback from the target audience and Skype had to convince his fellow colleagues that his idea was one that people would like and come to take for granted, serving to take their company forward. When he could not convince them, he got the target audience to explain the impact the product would have on their lives. There are takeaways too for best organisational practice to allow idea generation to flourish, given that the mind set to recognise a good idea is as important as the idea itself. Many companies suffer "groupthink" – where the desire for harmony and conformity results in a decision-making process that delivers an irrational and potentially mediocre outcome. Grant has picked some good examples of successes and failures. His observations about where ideas and companies went wrong make for interesting reading and reflection despite the fact that they are conjectures based on a few examples. Originals is not going to result in any epiphanies. It is in no way a definitive guide of how to conjure up and steer creativity and it shouldn’t be read with that expectation either. It is however an interesting and quite well organised exploration of some of the world’s more recent and most compelling ideas, how they were cultivated and what we might be learned as an outcome. If you only have time for this… key points from the book. Successful entrepreneurs are not big risk takers; instead they mitigate risks well. Managers are typically overcautious and miss good ideas, whereas creators can be overconfident in their ideas and forecast big successes where they ought to be more wary. The key to coming up with a great idea is to come up with lots of ideas! Too much experience in a domain means their ideas about solutions tend to be fixed and they have a highly generalised idea of what has worked in the past, which doesn’t allow for creativity. There are real dangers to what the author calls "groupthink" in which the desire for conformity results in an irrational decision making outcome. Confirmation bias is also a dangerous thing. One way to combat it is to read conflicting views but in order to change your opinion, you need to read mostly conflicting views. As a leader, if you fail to convince people around you about your convictions about why a product or idea will be a success, using the target audience to explain their own experience can be effective.